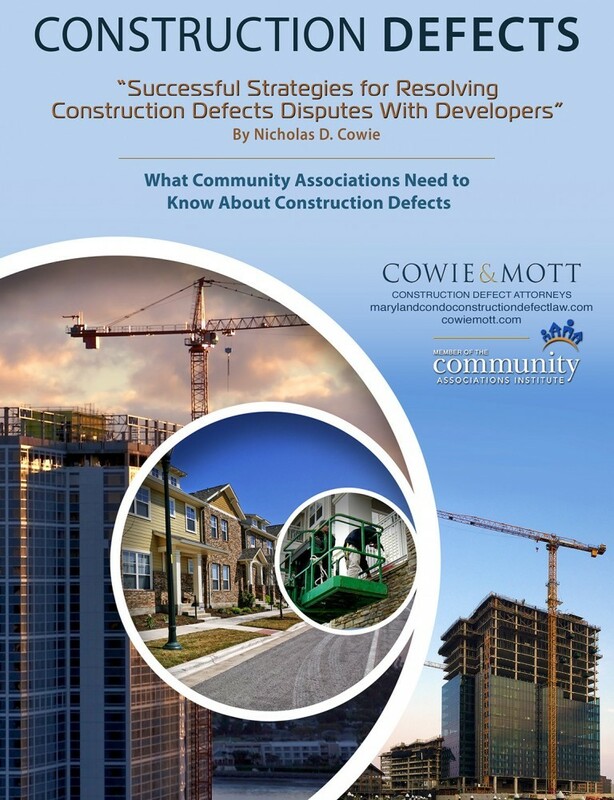 Maryland Construction Defect Attorneys and Litigation Lawyers Cowie & Mott attorneys are involved in resolving construction defect disputes thoroughout the state of Maryland. Our construction defect lawyers represent commercial property owners, homeowners, condominium associations, investment institutions, and contractors in construction defect disputes. 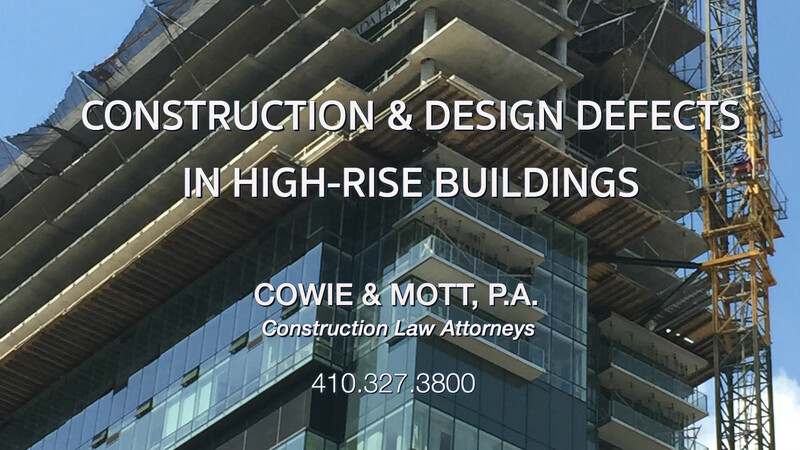 Nicholas D. Cowie and T. Allen Mott have over 50 years combined experience practicing construction defect law and handling construction defect litigation matters. Our goal is always to resolve your case through negotiation and mediation and our experience and reputation assist us in this regard. Most of our client’s settle their construction defect disputes without the need for drawn out litigation. However, if it becomes necessary, Cowie & Mott is able to litigate and try your construction defect case. Mr. Cowie served as trial counsel in the case Milton Co. vs. Bentley Place Condominium in which a condominium association was awarded $6.6 million in damages plus $500,000 in attorneys fees for the defective construction of a Maryland condominium in Montgomery County. 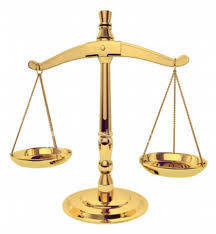 See Article: “Montgomery County Jury Awards $6.6 Million …” and Blog Post. Attorney T. Allen Mott obtained a $5.6 million jury award for a condominium association in a construction defect case against a national builder. See our Blog Post and The Daily Record “Condominium Awarded $5.6 Million … in Suit Against Ryan Homes.” Our construction defect lawyers are familiar with construction buildiing standards and Maryland statutory warranties that apply to construction defects in new homes and condominiums. In fact, Nicholas D. Cowie drafted, and led the effort to obtain passage of, the new statutory construction defect warranty laws applicable to homeowner and condominium associations, effective October 1, 2010. 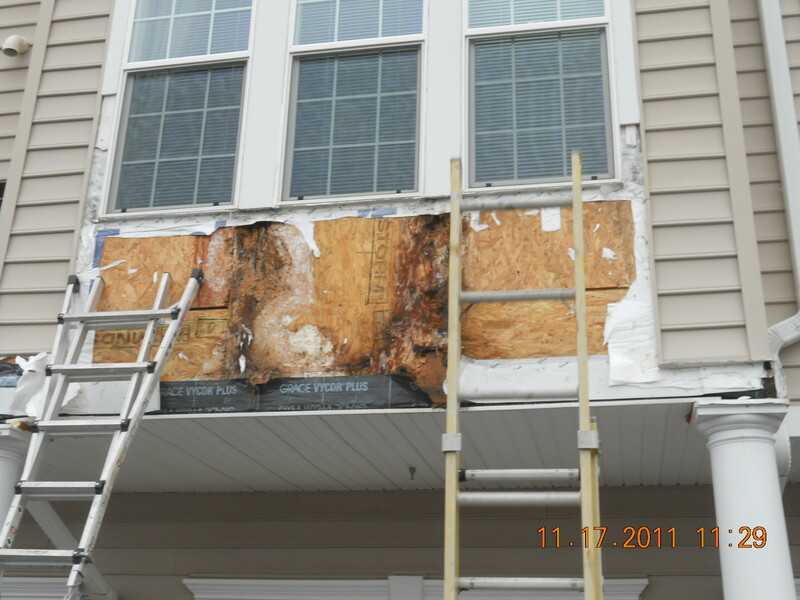 See our Blog Post: Maryland Attorneys Enforcing Statutory Construction Defects Warranty Claims. Please contact us for a complimentary analysis of your case. Please view our blogs: Maryland Condominium Construction Defect Lawyer Maryland Construction Defect Attorney Construction Defect Lawyers Cowie & Mott, P.A.’s construction litigation practice consists of experienced attorneys familiar with construction defect issues who negotiate construction defect settlements and presented construction defect issues to judges and juries. Our construction defect practice also includes prosecuting and defending construction defect cases before construction industry arbitration panels and mediators. Our construction defect law practice law includes a team of experienced construction litigation attorneys who understand construction standards and know how to negotiate with developers, general contractors, subcontractors, engineers, architects, and construction managers. If you own or manage property, buildings (both residential or commercial) housing, condominiums parking lots, high rises or other structures, construction defect attorney at Cowie & Mott can help with problems discovered during or after construction and can assist in resolving construction matters such as contractual disputes, excessive costs of construction materials and labor, and the use of defective materials. Our Law firm has a proven track record when it comes to resolving construction defect disputes arising out of faulty design, un-workmanlike construction and use of defective materials. We work with construction defect experts, engineers, architects, construction consultants and design professionals to negotiate building defect repair contracts and agreements with a defined method and scope of work for the repair of defectively constructed buildings, inspection an approval procedures of completed repair work, reimbursement of building inspection and construction consultant services, and meaningful warranties on building defect repairs and building performance. 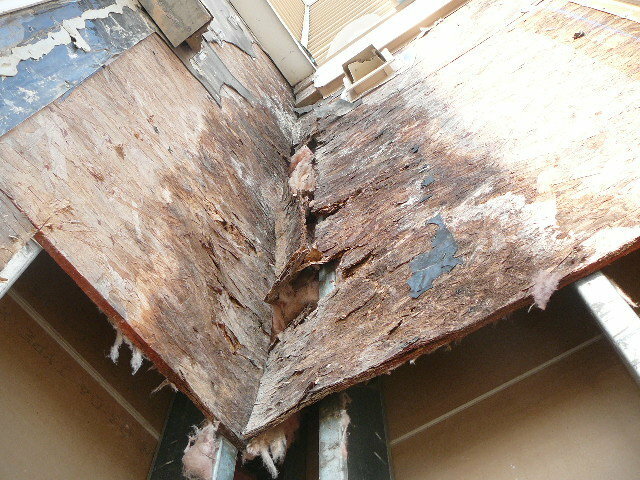 In cases where negotiation of repairs is not possible, we can purse a construction defect litigation claim in court of law. 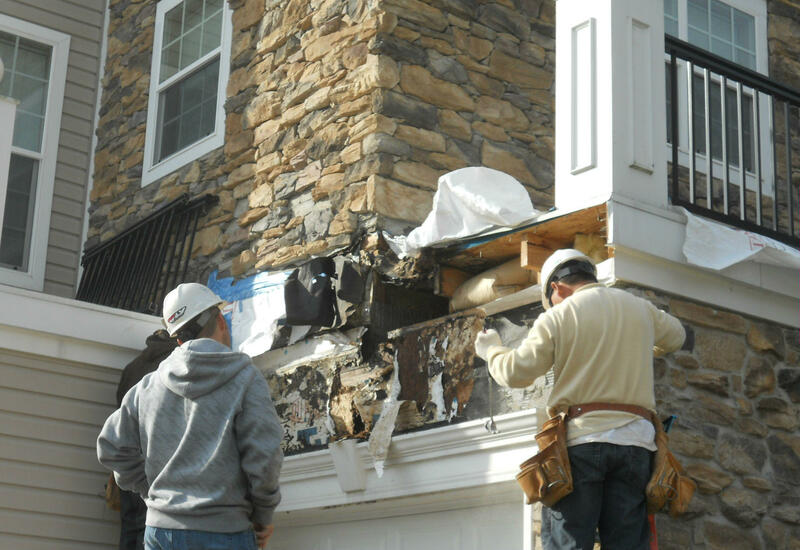 The vast majority of construction defect lawsuits we handle settle before trial and we have recovered millions of dollars in monetary compensation and repairs on behalf of clients. Our construction defect attorneys handle structural engineering defects (e.g., leaky roofs and windows, building material failures, structural collapse, masonry and concrete deficiencies and rotted and damaged materials) and contractual disputes (e.g., excessive costs of construction materials and labor and the use of defective materials). Our reputation and experience assists us in resolving many construction disputes cases without litigation or trial. 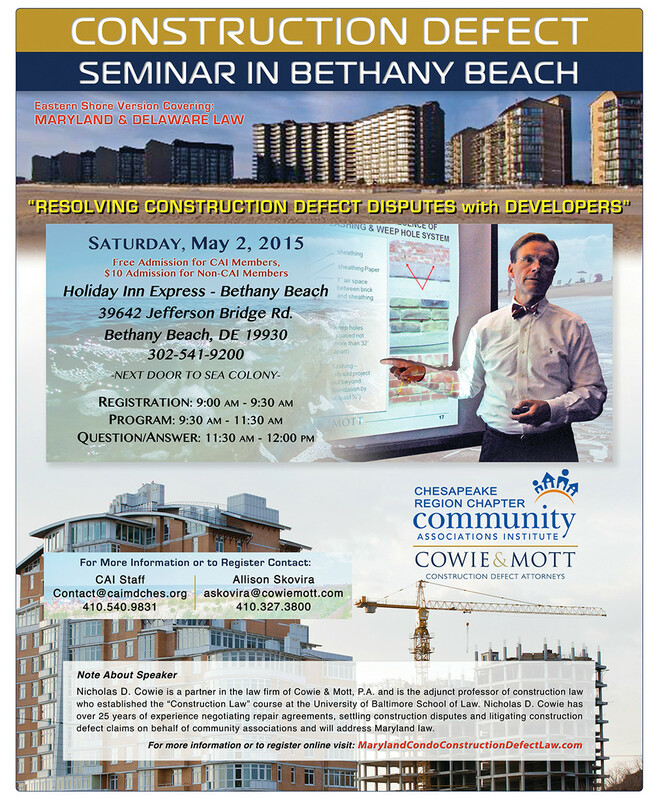 "Successful Strategies for resolving Construction Defect Disputes."